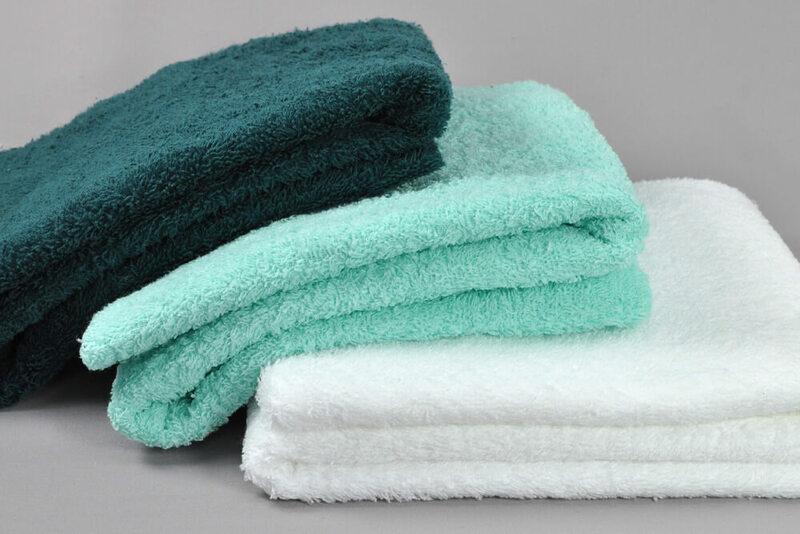 Terry cloth is a cotton fabric with absorbent loops over the entire fabric surface. It has traditionally been used for towels, but it has many other uses as well. Versatile terry cloth can be used to make bathrobes and swimsuit cover-ups. It is ideal for a comfy hooded towel-robe to wrap baby up after a bath. It makes great baby bibs and nice baby rompers as well. Terry velour is a luxurious fabric that makes lovely robes. Terry cloth items can be embellished with appliqués and trims for a unique look. Embroidered ribbon is an excellent trim for bath towels. If you have access to an embroidery machine it is easy to make your own appliqués. Terry cloth bath mitts are a simple project and make a fun gift for a child or adult. Of course, terry cloth is very versatile in the kitchen as well. 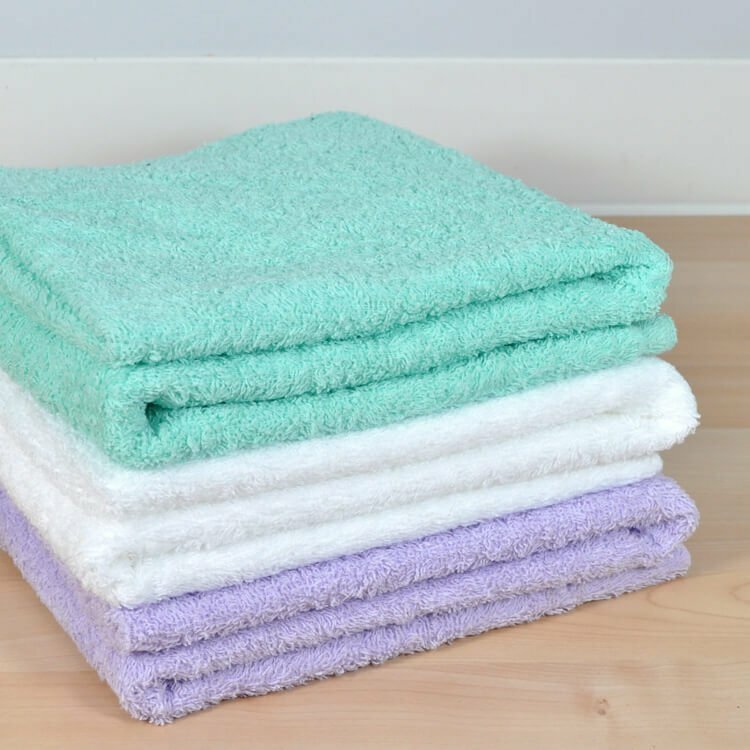 Use it for dishcloths and towels, as well as for clean up rags and bar towels; using cloth instead of paper is economical and environmentally friendly. You can even use terry cloth to make a cover for the many types of mops which are available with disposable heads Fold the cloth around the mop and tack in place by taking a few hand stitches at the corners; you can also make a mop cover that fastens with Velcro. After use, toss the cover in the washer and you’ll have a clean mop for the next clean up. Ready to start your project? Find terry cloth here. DO YOU HAVE PURPLE TERRY TOWEL FABRIC?